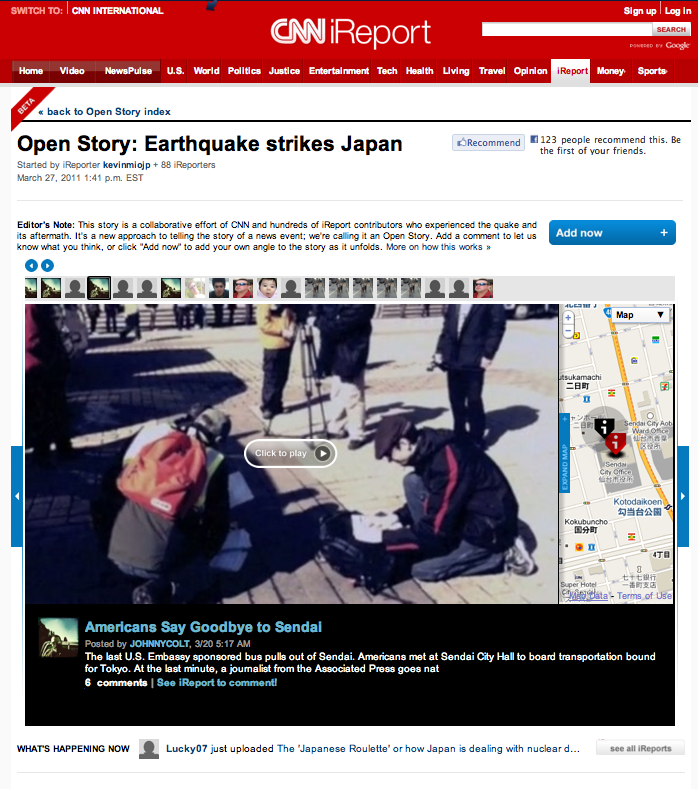 CNN are pioneered a new approach to UGC and News with iReport and now they are launching a new user generated experience with Open Story. Generated by Users spoke to Lila King – Participation Director of CNN.com who takes us through the last five years of iReport and crucially what CNN have planned for the future with Open Story. Open Story – CNN’s big UGC jump forward? 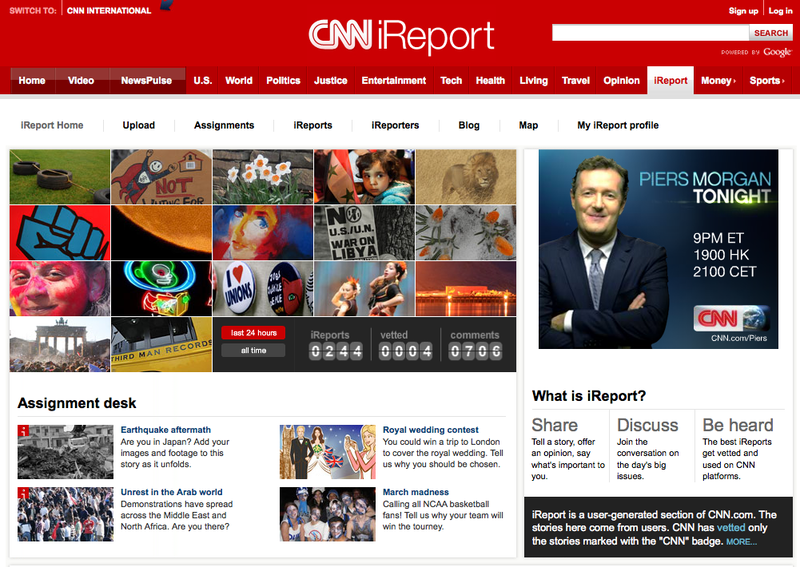 iReport has existed for almost five years and become more and more intergrated into CNN’s website and coverage of news. Now with Open Story (still in Beta) it takes CNN’s footage and all the perspectives of iReporters and it places it on a map and timeline giving you a full overarching picture of a news story. This rounded approach to user generated content existing together in one realtime platform is a bold one and one that the GBU team like a lot. Check out the SXSW and Japan Open Stories that Lila King Mentions. Back in 2006 CNN first started its iReport initiative. CNN iReport is the network’s participatory news community. CNN iReporters from all over the world come to CNN.com to share video, photo, audio and text they deem newsworthy. Additionally they form communities of shared interests and engage in impassioned discussions. It began after a number of stories where footage taken on camera phones was more compelling than traditional news organization footage. News events such as the Asian Tsunami, London 7/7 and Hurricane Katrina really shuck up the way we receive news and how news is gathered. 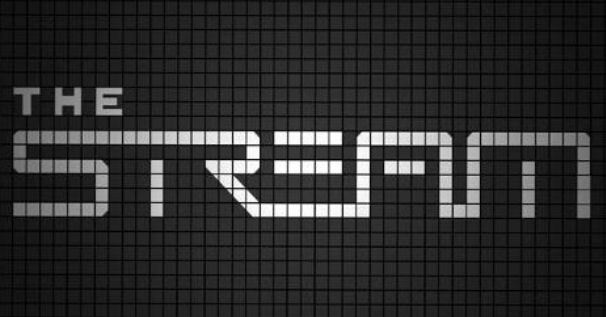 Can we Trust User Generated Content? The biggest challenge when it come to UGC is trust so we asked Lila if we can trust iReports and how CNN vet them. She says that iReports are vetted for CNN with the same rules as any other kinds of footage used on CNN staff. iReport has the same editorial philosophy as CNN. So is UGC the future of News? According to Lila the power of UGC is in combination with professional journalist as it offers incredible diversity and human viewpoints, but also UGC requires a lot of filtering and curating to make it successful. CNN’s iReport has more than 753,000 registered “iReporters” (Source: iReport Server Log Data) with an average of 2.1 million unique users each month through February 2011. (Source: ComScore). There are an average submission of 15,391 iReports each month on iReport.com. CNN has received an iReport from every country in the world.